I had heard a lot about Tommi’s Burger Joint in Mitte, close to Rosenthaler Platz and finally went a few weeks ago. 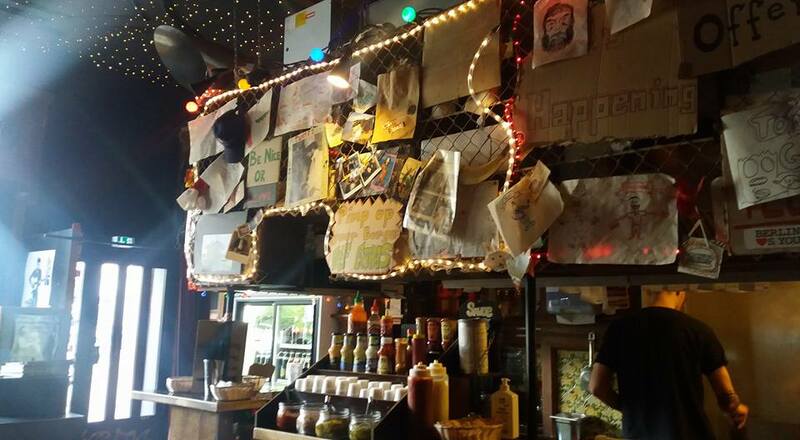 The place has quite an original decoration and a super friendly staff. 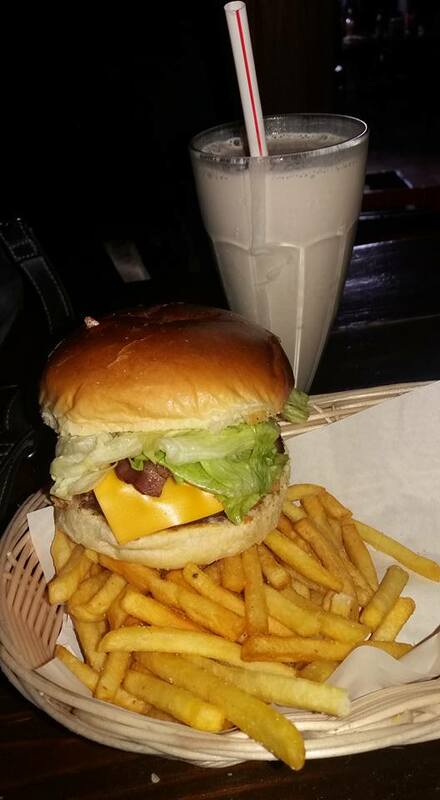 I had a bacon cheeseburger, it was really tasty, good quality meat and the possibility to add (for free) a few sauces or ingredients like pickles and oignons and such. I also had a milkshake which was super nice. The only negative point is the price, it’s quite expensive, but still worth it. Categories: Burgers, Mitte | Permalink. 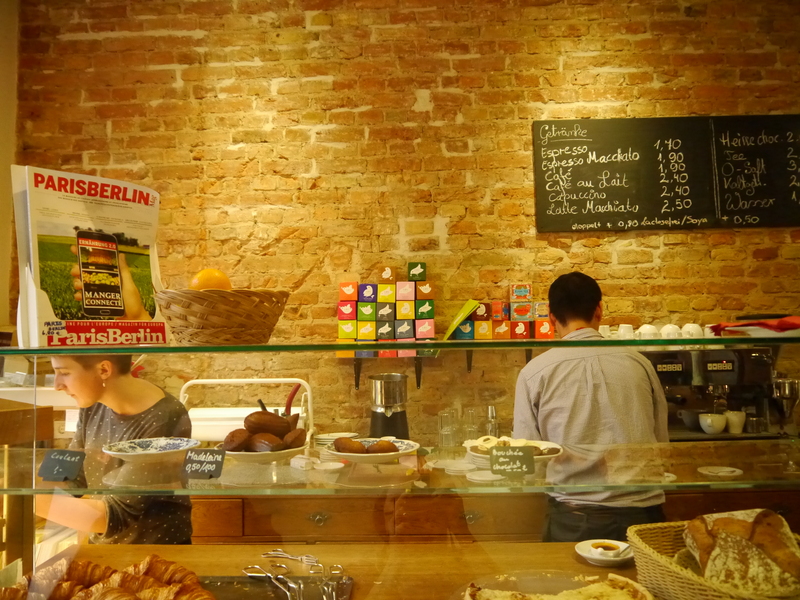 Some time ago, I went to Du Bonheur, a French style bakery in Mitte, just outside U Bernauer Straße. The name means “Some hapiness” and it’s really a place you get some tasty hapiness. Super nice place, cosy, friendly staff. Brioche and croissants are super tasty too. 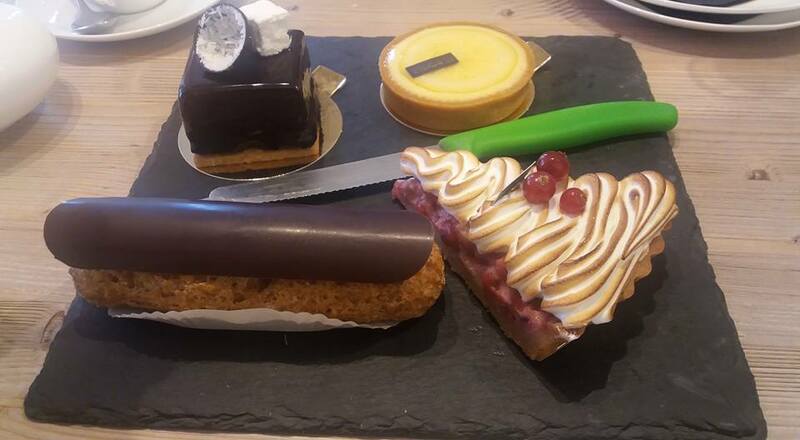 Pâtisseries are amazing, I tried several, they look and taste sooo good, the eclair are not made the traditionnal way but they’re really good. 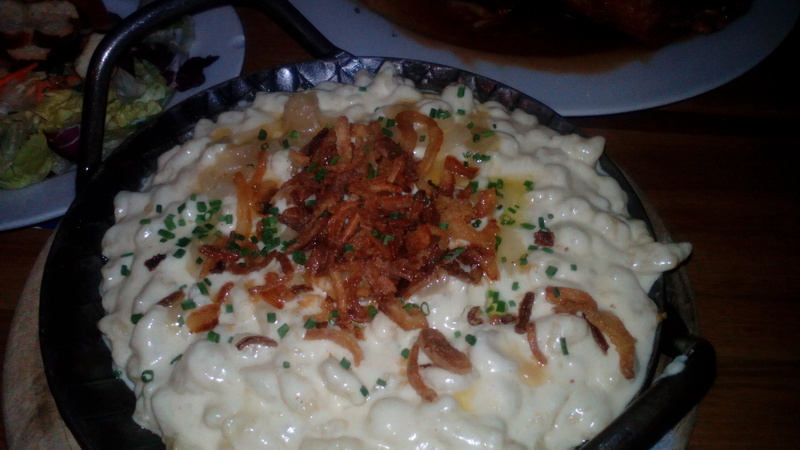 Go there and your taste buds will for sure be happy. Plus, the hot chocolate is excellent too! Categories: Brunch & Breakfast, French, Mitte | Permalink. 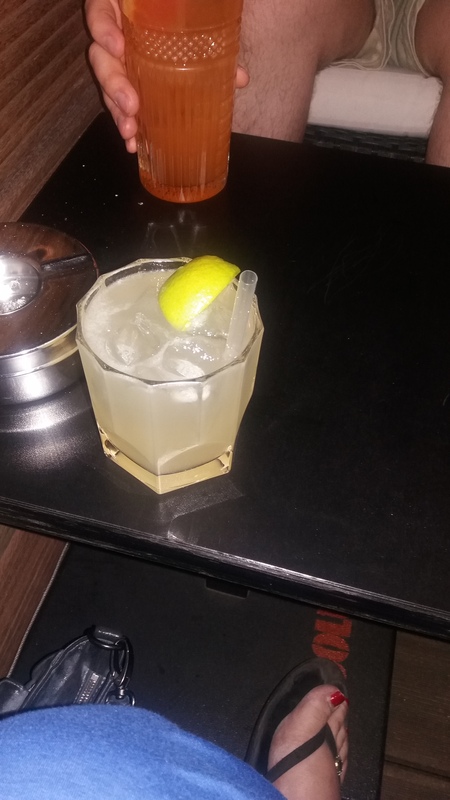 I recently discovered a new cocktail bar in Mitte, along the Spree, close to S+U Friedrichstraße: Meisterschueler. I went there with some friends for an after opera cocktail, it was warm and we could enjoy the lovely terrasse along the river. The staff is super friendly and the menu HUGE, really hard to choose from, but the waiter was patient and came a few times before we could decide. I wanted a pisco sour but without eggwhite on top and they just did it, and it was great. Not too strong, no too weak, the right dose, very refreshing. Everyone was happy with their drinks and they also have a selection without alcohol. The inside is very nicely decorated, although it’s a bit expensive, it can really be worth it once in a while. 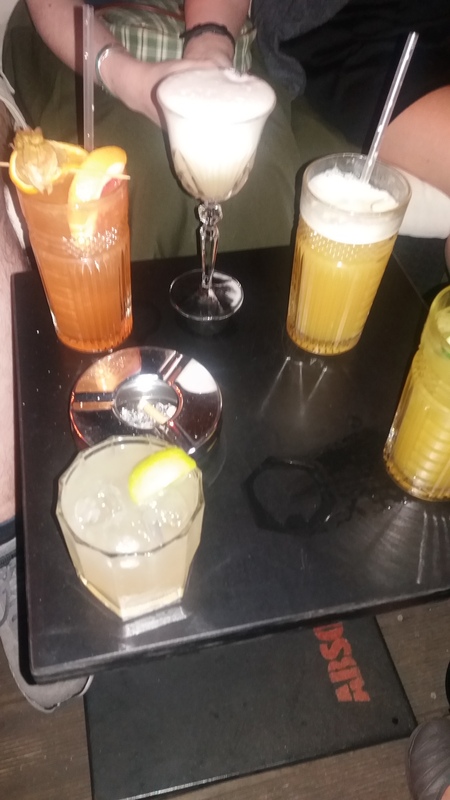 Categories: Cocktails, Mitte | Permalink. 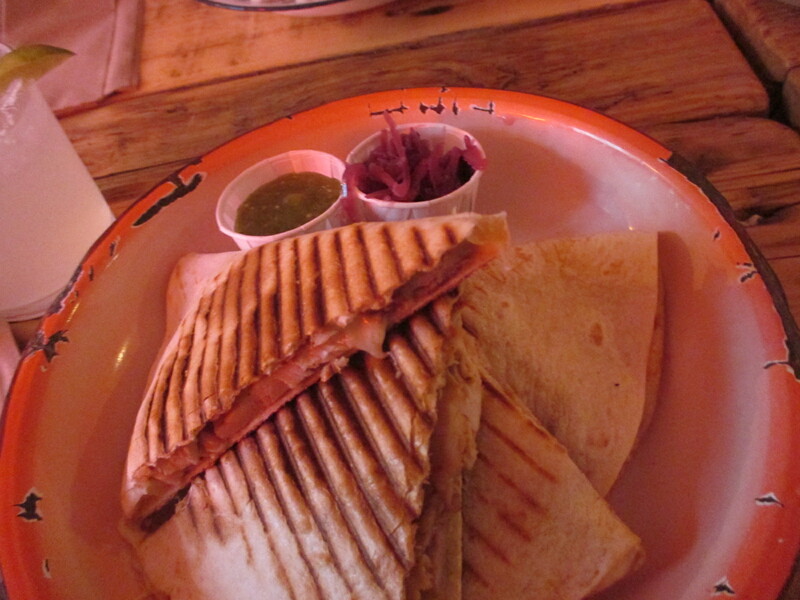 Neta is a small Mexican fast food located close to Rosenthaler Platz in Mitte. 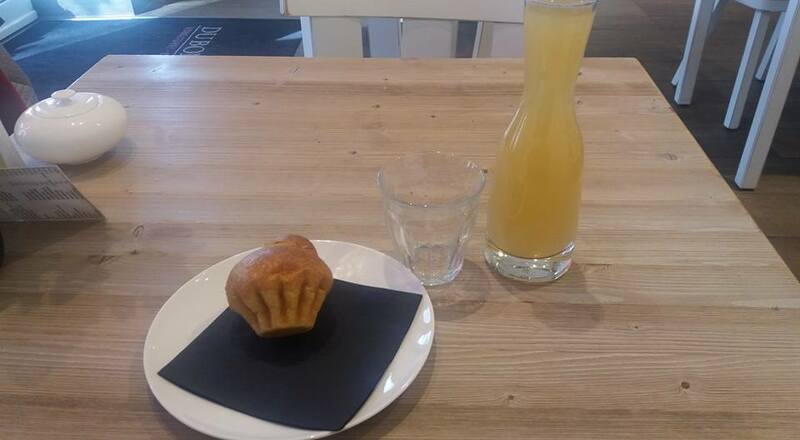 I stumbled on this place while looking for somewhere to eat in the area and it looked quite nice so we gave it a try. It was super clean, the staff was extemely friendly and the concept is nice since you can build your taco/quesadilla/burrito/bowl with meat of vegetable of your choice and the sauce according to the degree of spicyness you would like. 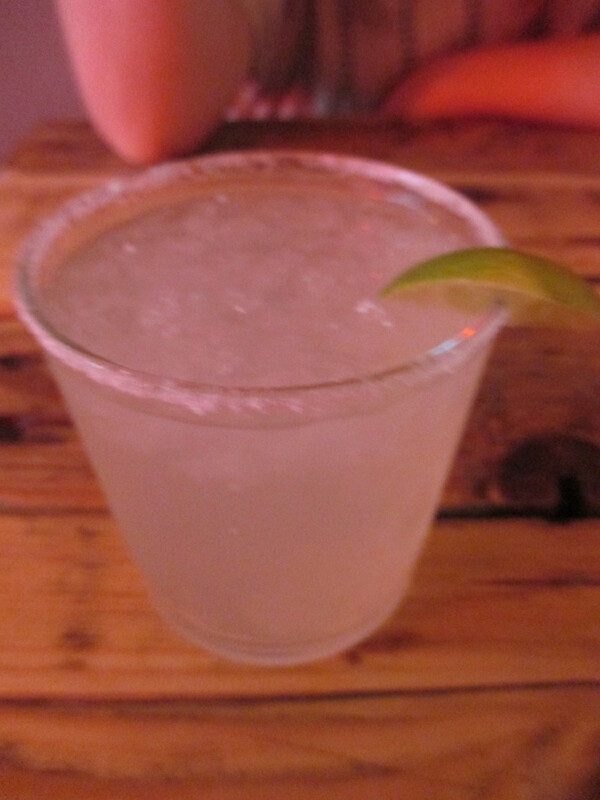 The food was good, quality ingredient, tasty maragarita as well and quite cheap. 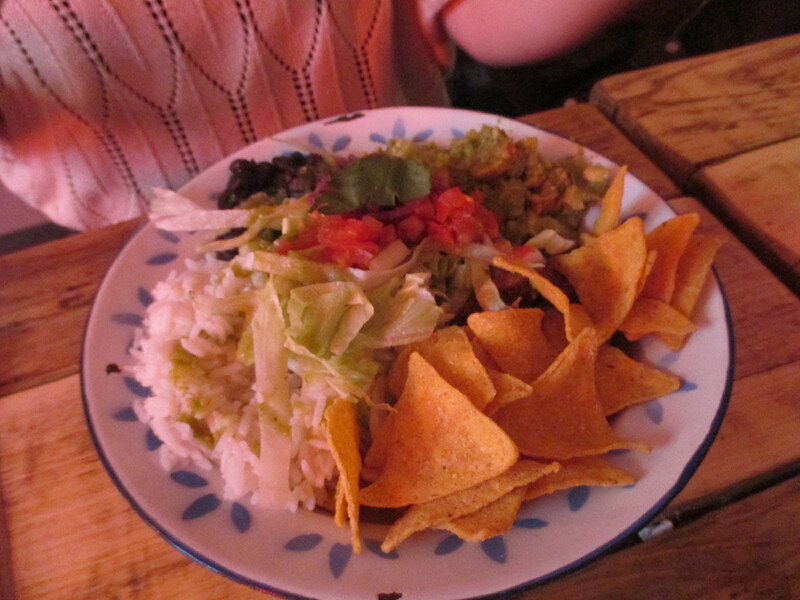 Categories: Mexican, Mitte | Permalink. 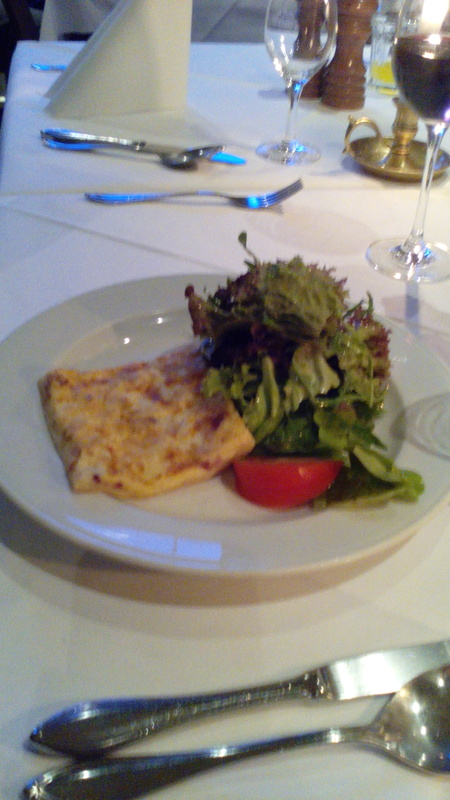 I was looking for new French restaurants in Berlin (well by new I mean that I haven’t tried yet) and I stumbled on Le Provençal, which sounded nice from the reviews and the online menu. 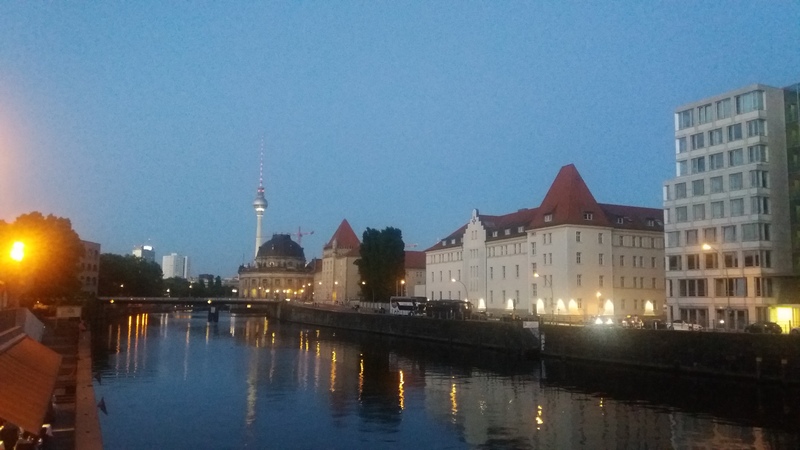 The place is quite nice, it’s located in Nikolai Viertel, along the Spree, a few minutes walk from Alexander Platz. 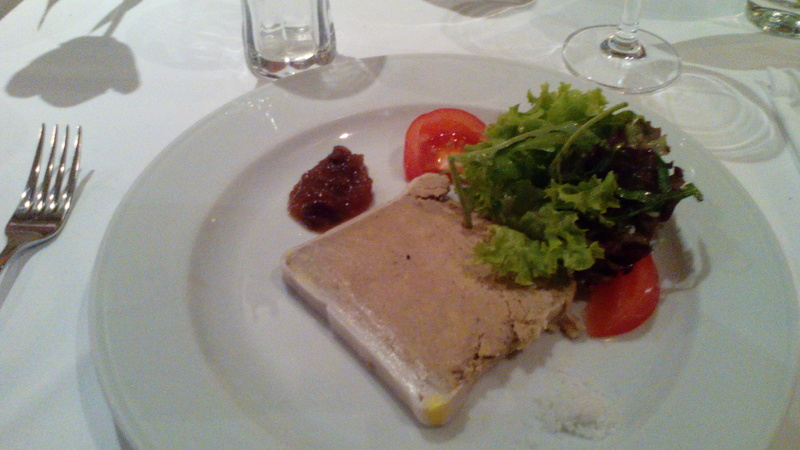 I had first the home made foie gras, you can taste it’s home made, really good. Too bad I did not get my toasts, noticed it too late when someone else had it later. 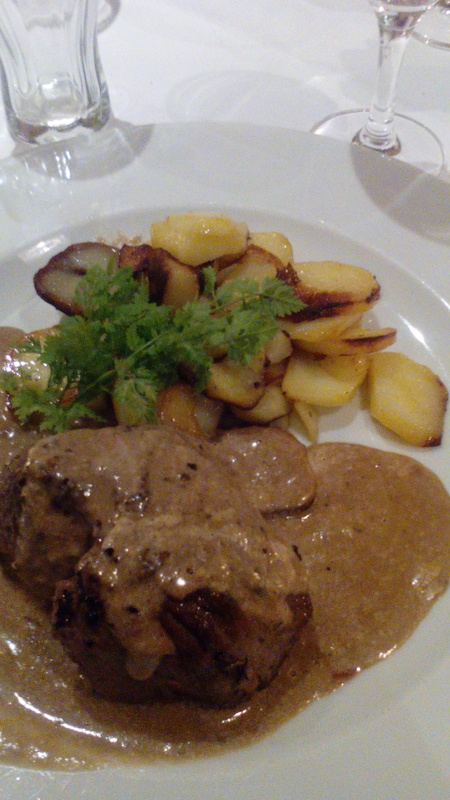 I had the beef filet, I asked it rare and it was cooked almost medium rare, so it was ok, the meat was really tasty and tender, good quality, nice pepper sauce too. 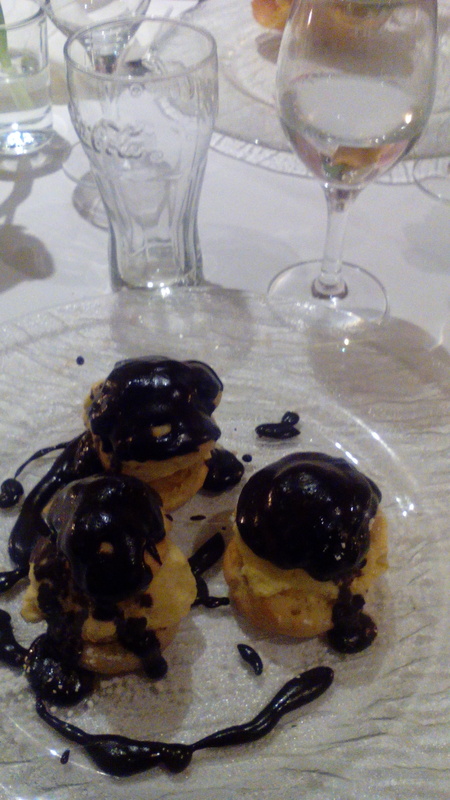 For dessert, I had the profiteroles, it’s one of my favourite desserts and in 5 years it was the 1st time I found some in Berlin, so I was pretty excited and not at all disappointed. They weren’t the best I ever had but still real tasty. All in all it was a nice experience, we were all quite happy, even if some weren’t that excited as I was from their food, a bit too expensive though. Categories: French, Mitte | Permalink. 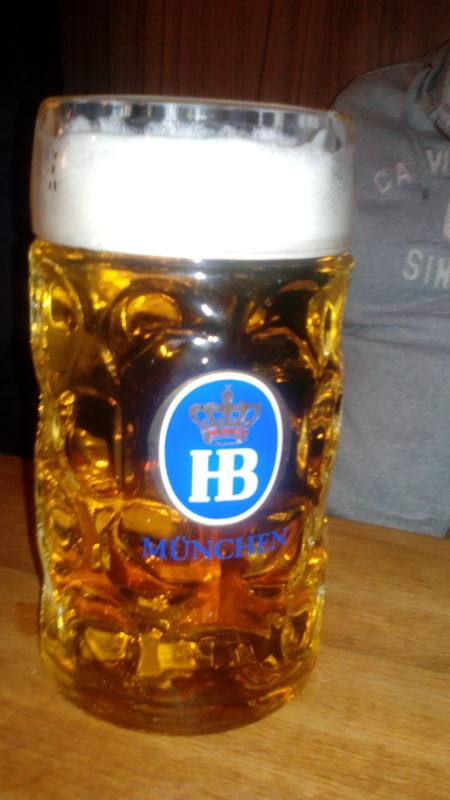 I went to Hofbräu (by Alexanderplatz) with my brother and his girlfriend when they were visiting Berlin. He went there on his last visit and likes the one in Munich and loves their beer. I don’t drink beer but I trust my brother on his advice. 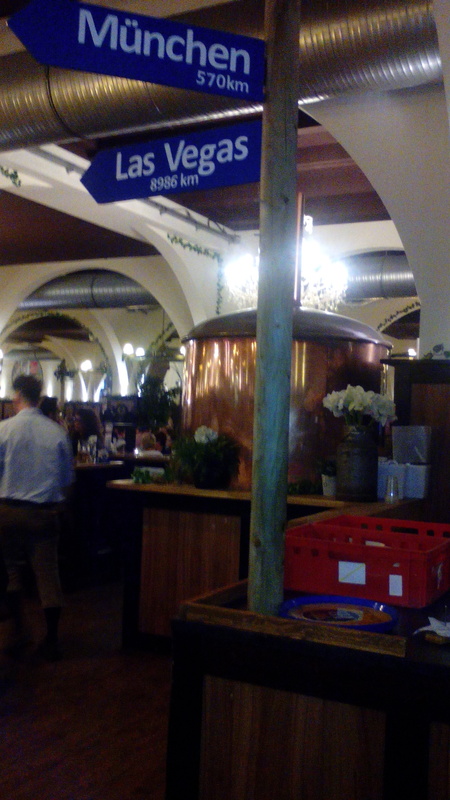 The atmosphere is really nice, there was a Bavarian group playing music, people were singing and dancing. Quite cool. The staff was very friendly. 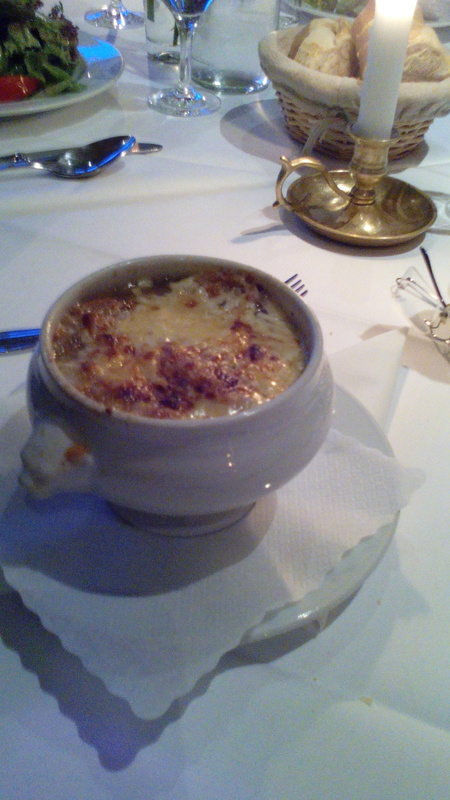 The food was nothing exceptionnal but not bad, I had the käsespätzel, they were ok but the cheese wasn’t very strong, my brother had the Haxe and really liked it, his grilfriend had the grilled goat cheese and the apfelstrudel and was happy about it. Although it is very touristy, it’s quite a nice place, but go there for the beer and the atmosphere rather than just the food. 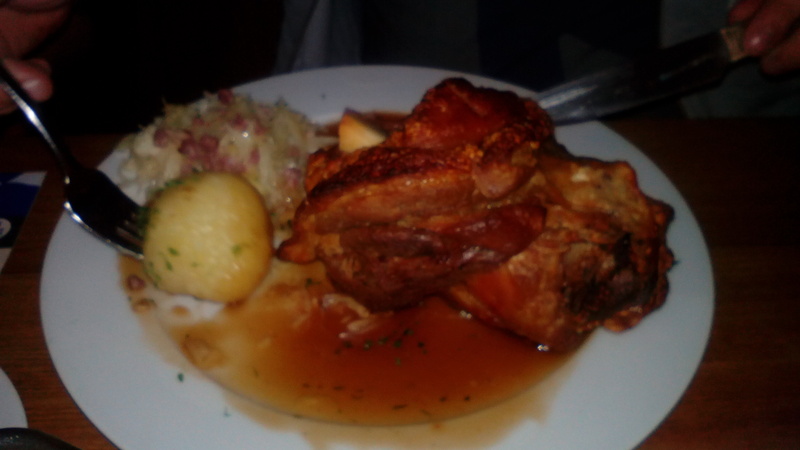 Categories: Bavarian, German, Mitte | Permalink. 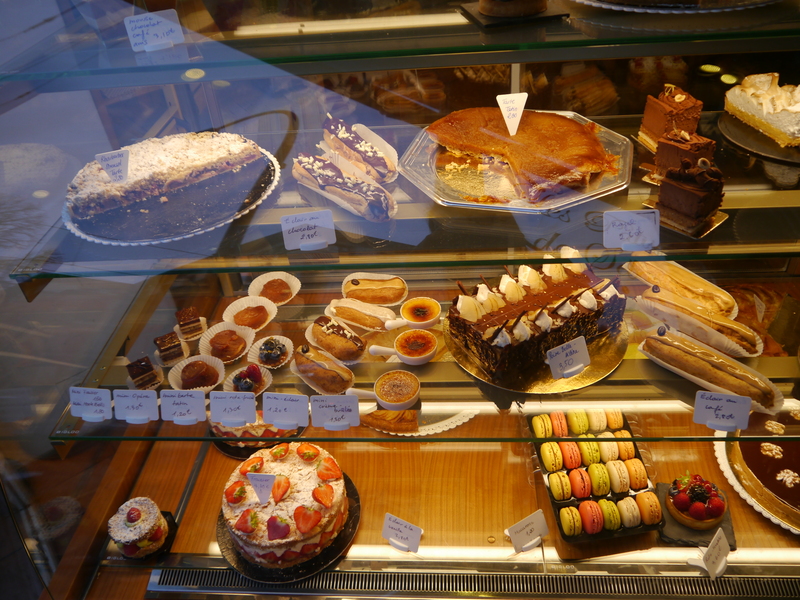 Les Pâtisseries de Sébastien is an authentic French bakery in Mitte, it’s located on Invalidenstraße, close to Weinbergpark and U Rosenthaler Park, only a few steps from the tram stop Brunnenstr/Invalidenstr (M8 and 12). 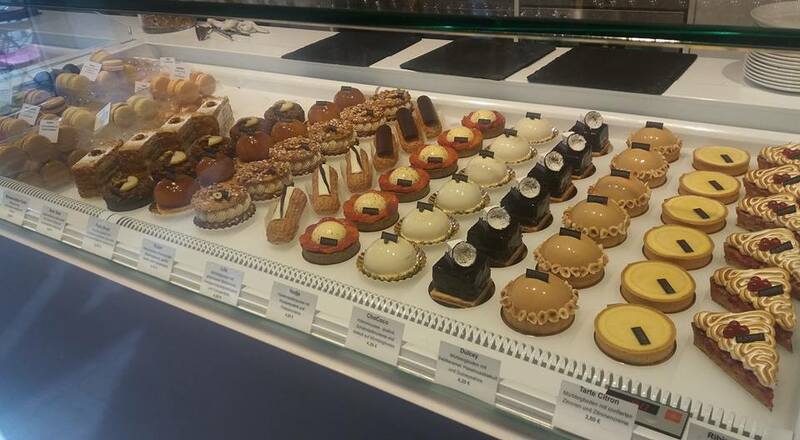 While looking for a French pâtisserie, this place came up very often and had amazing reviews. 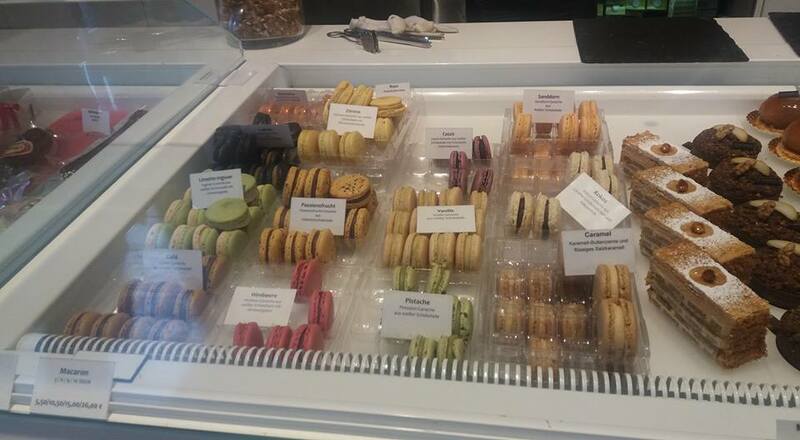 I went there on a Saturday afternoon for a coffee break and it was so hard to choose from. They have some of their cakes mini sized which is great to try several delicacies. 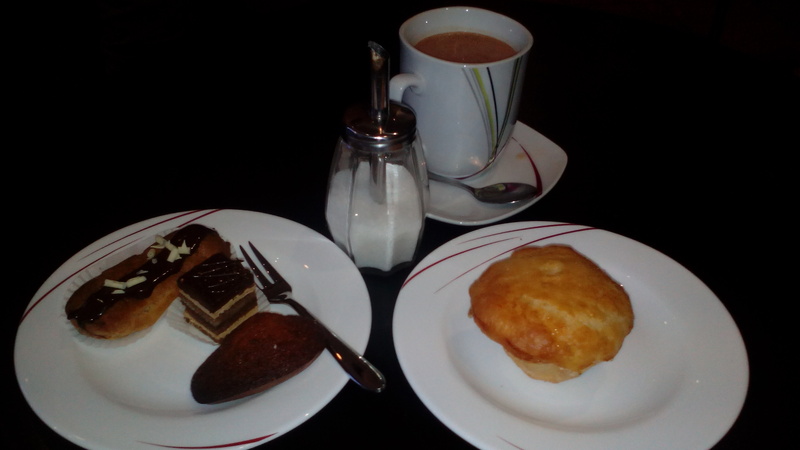 I had a delicious brioche, a very tasty madeleine, an awesome éclair au chocolat and also an opéra, but I forgot it was with coffee and since I don’t like this taste I can’t judge. The croissants and pains au chocolat looked amazing but I was too full to try them, next time… My friend had a cake filled with an excellent red fruit mousse. Their hot chocolate is also great, very strong taste, not the cheap powder with milk kind. Plus it’s not expensive at all, the staff is super friendly and you can eat in or take away. 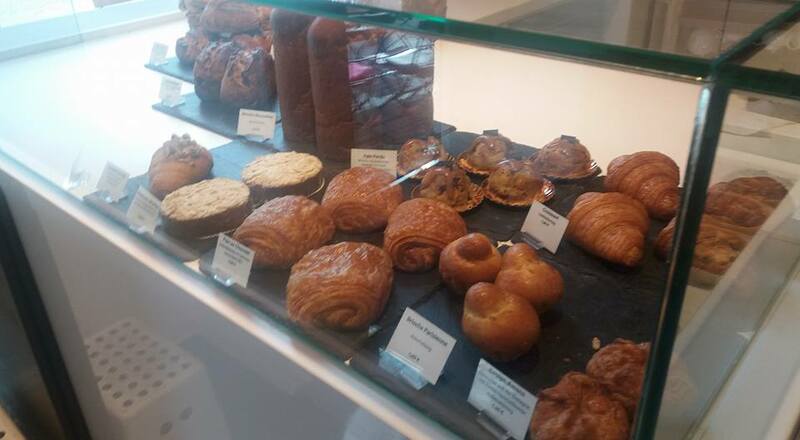 As I really wanted to try their croissants and pains au chocolat, I went back the next morning to get my breakfast, dessert and bread for the day. The croissants are delicous and the pains au chocolat absolutely amazng, and of course the baguette is great!